Shows you how to get more out of Microsoft Excel. 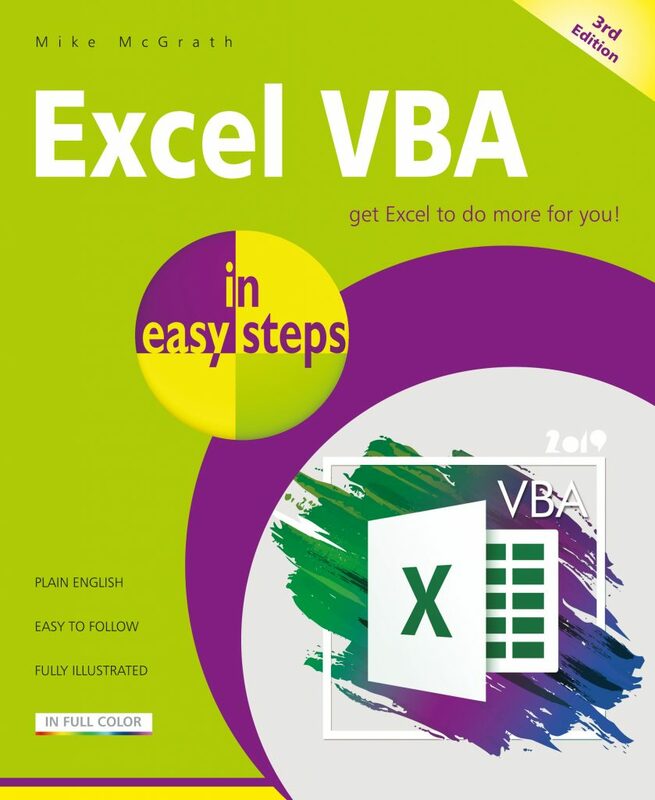 Use the Visual Basic for Applications (VBA) programming language that’s built into Excel to make it much more powerful – in easy steps! Sharing your Excel apps to impress your colleagues! Whether you’re upgrading to Excel 2019, exploring Excel in the Office 365 suite, or new to the Macro programming concept, use this guide to learn the key features constructively and get more out of Microsoft Excel – in easy steps!